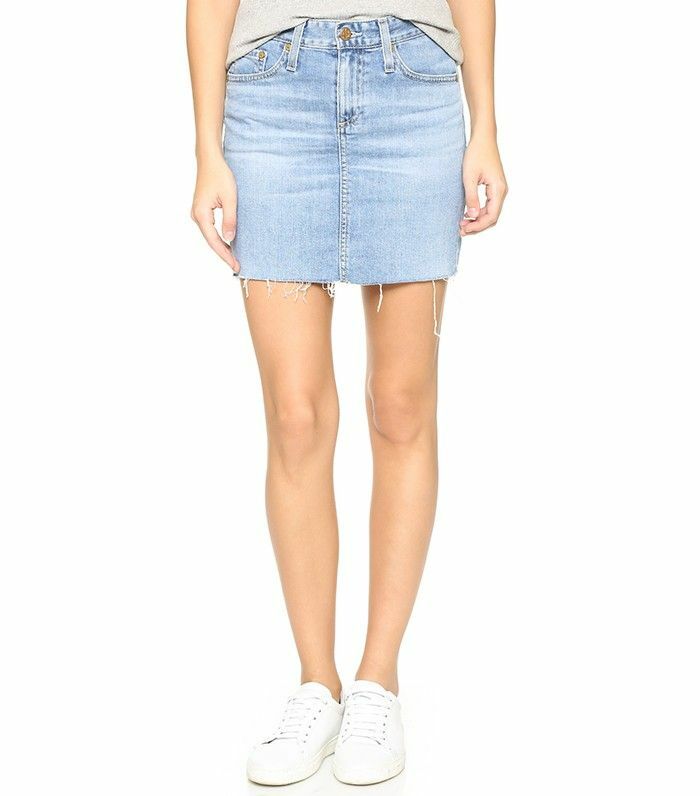 Ever since the Vetements' denim miniskirt arrived on the scene a few months ago, everyone seems to want one for themselves. While this particular £845 price tag can be a tough pill to swallow for such a small jean piece, other brands are offering spring's biggest skirt trend sans sticker shock. The catch? It seems that all savvy shoppers are snatching them up. While sifting through a few e-tailer offerings (Shopbop and Net-a-Porter included), we noticed that practically every style was either sold out or close to it in most sizes. Blame it on the cult fashion brand if you'd like, but whatever the culprit, denim miniskirts are a hot item this season. Scroll down to shop a few of our favourites styles before they sell out! Will you give them a whirl again? Then check out styling tips on how to wear denim skirt and more unexpected street style trends.